Yesterday there was a lot of discussion in the Dtoid community about what the best FPS shooter was. As expected, everyone had their own opinions and a great deal of arguing ensued. After all the drama I came to the conclusion that there isn’t really a best FPS because it hasn’t been designed yet by anyone. This is where I come in. I have come up with a game idea, which if implemented, will be the ultimate FPS. So I would like you to all clear your minds, and follow along with me as I describe to you the most incredible first person shooter none of you have played yet. I call it, Halo-Life: Call of TurokShock. The general premise of the game is you go around shooting Nazis that are riding on top of Dinosaurs, which came through a rift from another dimension you accidentally opened during a science experiment, that you conducted in an underwater objectivist-dystopian city, which exists on a large ring world type structure that is on a count down to explode, which could destroy everything in the galaxy. You are a Native American ex-marine who has quit service duty to become a world renowned scientist, and you are the only one who can kill the dinosaur mounted Nazis, repair the dimensional rift, and stop the Halo from exploding. Yes the fate of the entire galaxy rests in your hands. Are you up for the task? Of course the true greatness of any First Person Shooter comes from its weapon selection, and that will be the best part of this game. Of course you will have many of your standard type weapons: a melee weapon, a single handed pistol-type weapon, a two handed machine gun type weapon, a rocket launcher type weapon, a damage-over-time type weapon, and a crowd control weapon. Besides these I will throw in a couple Special Weapons to assist in your mutilation of the evil Nazi-Dinosaur foes. Below is a list of all the weapons I would include in the game. As deadly as it is useful, the spork will make a quick bloody meal out of your enemies when you get in close enough to smell their fowl stench. Who needs a crow bar or a wrench when you can use a spork. 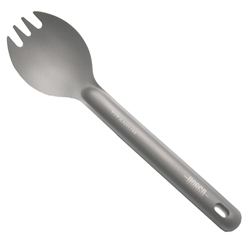 The spork also does 2x damage when attacking southern fried chicken monsters. This deadly weapon is a taser, shaped like a gun, with laser site that fires two dart-like electrodes attached to conductive wires. 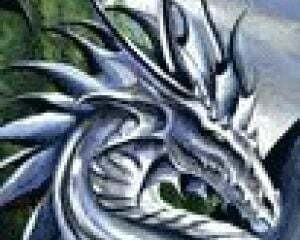 You can use this to deliver large amounts of electric current through your enemies, killing them or stunning them for a short duration of time. The weapon can carry 10 sets of electrodes at a time, which you can fire quickly one after the other in rapid succession. 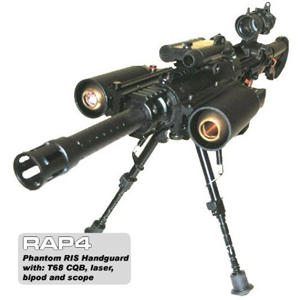 This weapon does have the side affect that it causes your enemy to scream out “don’t taze me bro” every time you shoot them. Do not be fooled by the fact this is a paintball gun. With dual grenade launcher and shell, laser vision, scope and bipod, the magazine fed T68 Genocide acid paintball gun with an optional 200 round hopper will obliterate your enemies in a single swooping action. Not only does the acid paint damage your enemies, it also covers them in the color of your choice. Choose from colors such as “Spartan Green”, “Survival Horror Grey”, and of course our favorite “Tickle me with fear Elmo Red”. Primary Fire: Shoots standard acid paintballs in the color of your choice. Secondary Fire: Launch acid paintball grenades at your foes. Never has death been this furry. This might look like just a typical rocket launcher attached to a cage filled with rabid flying squirrels foaming at the mouth, but looks can be deceiving. These squirrels have a chemical in their mouths, which while is benign on its own, once it comes in contact with human blood it has explosive properties. The rocket launcher propels these flying squirrels at your enemy with lightening speed, and once they land on their intended target they immediately look for a big artery and bite in deep, causing your enemy to explode in a wonderful shower of blood and guts. Primary Fire: Fires the flying squirrels in a straight path in the direction you are pointing. Secondary Fire: Fires a delicious nut projectile that embeds itself in the enemy causing the next launched flying squirrel to home in on then target. 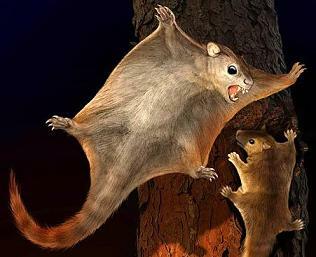 There is nothing more deadly then a homing exploding rabid flying squirrel. For the pyro inside of each of us there is “The Face Melter”. This 10,000W industrial strength hair dryer makes sure that when the combat gets close and personal, you are the only one left standing. Just turn it on and any foe within five feet will immediately have their faces melted off in a bloody stream of skin and tissue. It will truly give your enemy a make-over they will never forget. From the legendary pyramids of ancient Egypt comes one of the most deadly bugs known to mankind: the elusive Scarab Beetle. Thought to be extinct for thousands of years, you will eventually come upon a box of these beetles hidden way in an evil archeologist’s lab. The beetles can be thrown at your enemies, and once they make contact with the skin they immediately burrow into your foe, slowly eating them from the inside out. This provides a nice damage-over-time effect and it also distracts the enemy causing them to stop fighting you and to instead worry about the scarab beetle burrowing its way through their intestines. Do you have too many enemies trying to kill you all at once? Well then you need “The Demoleculizer” quicksand creator. Take this weapon and shoot it at any point in the ground and it immediately scrambles the molecules of the top five feet of the surface, turning it into quicksand. The great thing is it doesn’t change the look of the surface, so your enemies won’t know what hit them until it’s too late. Enemies who step into the affected area immediately sink five feet into the ground and can’t move. Be careful though as the effect only lasts for 20 seconds. Unfortunately this only works on non-organic surfaces such as dirt, metal, concrete, and rock. It cannot be used against your enemies to scramble there molecules. Oh well! If you think that all the Nazis in the game are men you are wrong. Some of them are women to, and what better way to stop women then to attack them with what they desire most: Chocolate. Simply point this weapon at another enemy and fire. It immediately covers the targeted enemy in warm liquid chocolate causing any female enemies in the room to stop attacking you and instead eat the newly chocolate covered enemy. Of course not all women like the same type of chocolate, so the liquid chocolate project can be modified to shoot milk chocolate, semisweet chocolate, or dark chocolate. Looking for more fun? Try covering two women in chocolate and see what happens. Who needs a shrinking ray when you can have The Ageing Ray? There are two settings on this bad boy: “Baby” or “Grandpa”. Use the “Baby” setting to turn the clock back on your enemies to when they were little tiny babies. All they will be able to do is crawl around in their diapers kicking and screaming for mama. If this does not suffice use the “Grandpa” setting to age your enemies until they are old men. All they will want to do is sit in their rocking chairs and tell you old war stories about how in their day they used to walk up hill to and from battle, in a blizzard, and they had to defrost their gun before they could shoot. In either case your enemy will be no threat to you anymore. Be warned this weapon has a very limited ammo supply. Pick and choose your targets wisely. 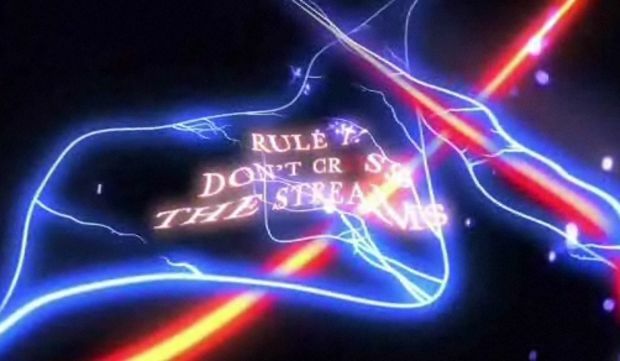 In the event that you are cornered on all sides by dinosaur mounted Nazis, you are out of all of your ammo, and your Spork has been melted down to scrap metal, there is only one real option left “Cross the Streams”. Just pull out your two charged particle accelerator proton packs, turn them on, and fire their streams of concentrated protons into one another. This has never been tried but in theory it should cause all life as you know it to stop instantaneously and every molecule in your body to explode at the speed of light; or it might kill all of the enemies around you leaving you and the rest of the universe untouched. Unfortunately there is no telling what will happen, which is why it’s recommended to only use this weapon in the most extreme of circumstances. Please note this can only be used once in the entire game, so choose wisely. As you can see the ideas are all here on paper, but someone just needs to implement them. I think though that by winter of 2009 we will be taking our first steps into the fantastical world of Halo-Life: Call of TurokShock.